Irish actress Jessie Buckley dominates the screen in this romantic yet bleak psychological thriller by writer-director Michael Pearce. Pearce’s film, despite its confused ending, succeeds in transforming the scenic island of Jersey (in the English Channel) into an oppressive mental prison for Buckley’s lovestruck heroine. Seasoned filmmaker Spike Lee deftly handles sensitive and politically charged themes in reenacting Ron Stallworth’s somewhat farcical investigation of the Ku Klux Klan in the 1970s (adapted from Stallworth’s 2014 memoir). Star John David Washington brings brash initiative while Adam Driver grounds the story as the voice of reason. Rarely has cinema so effectively portrayed and opposed racism with such uninhibited joy. 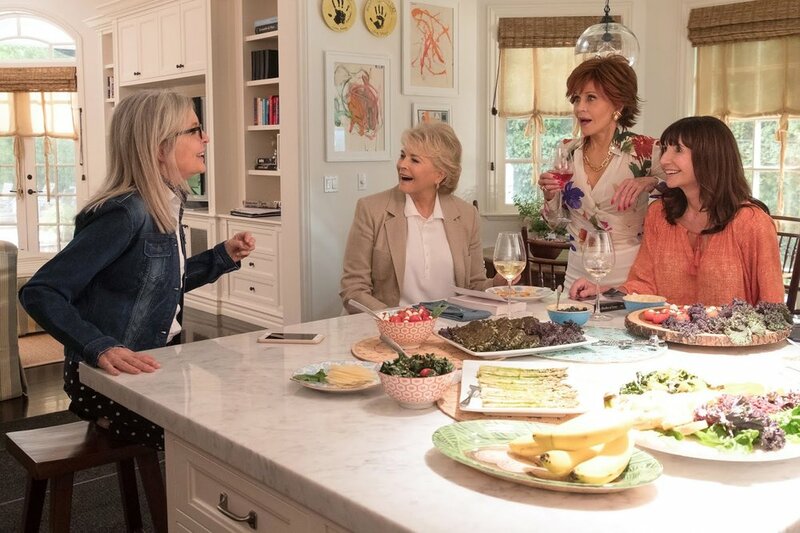 Writer-director Bill Holderman (with co-writer Erin Simms) delivers a bland ensemble rom-com about four senior women (Diane Keaton, Jane Fonda, Candice Bergen, and Mary Steenburgen) and the effect their eponymous regular hangouts have on their love lives. The film is less an insightful examination on the diverse facets of autumn romance than a slack paycheck vehicle for its aging stars. This sequel to the 2016 superhero comedy Deadpool, boasts slicker action scenes and to some degree, more substantial and heartfelt conflicts compared to its predecessor. Unfortunately for #2, without the first film’s crucial novelty factor, the tired meta jokes, gratuitous violence, and groan-inducing digs on sentimentality become a tug-of-war for the viewer, more burdensome than pleasurable. 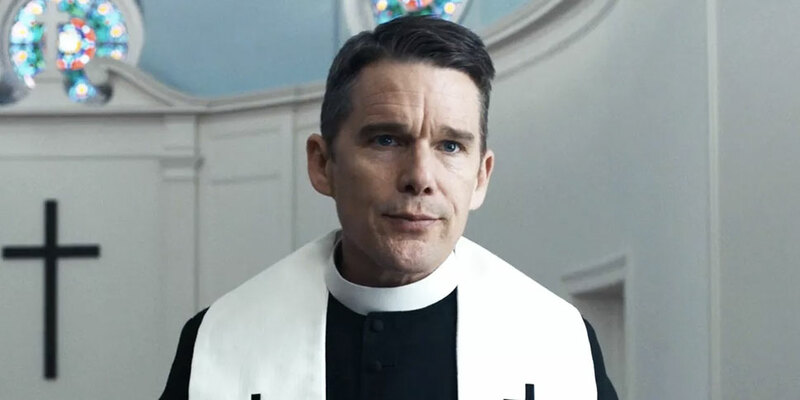 Ethan Hawke is mesmerizing as a spiritually-troubled evangelical pastor in writer-director Paul Schrader’s plodding drama and intense character study. Occasional moments of comic relief might linger more in the minds of viewers compared to the pressing themes that get resolved by the story’s trite and abrupt conclusion. Liya Tong and Jiayin Lei (the latter playing the present and future versions of his character) headline writer-director Su Lun’s clever Chinese time-traveling romantic comedy. The film makes up for a modest “fun and games” midsection with its impressive production design by Zheng Chen, amusing setups in the story’s beginning, and an earned finale that brims with surprising heart. After having written and directed the previous M:I entry, Christopher McQuarrie becomes the first director to helm two successive Tom Cruise-starring installments of the popular franchise, delivering one of the most technically ferocious spectacles in recent action cinema. 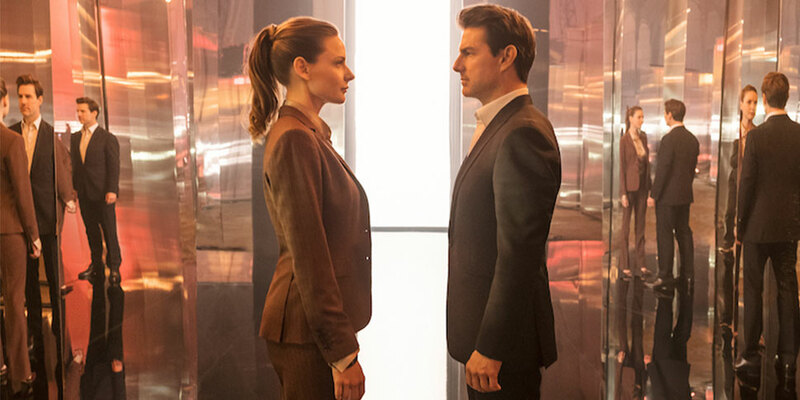 However, unlike his previous M:I Rogue Nation, McQuarrie asks viewers to perform their own “Mission: Impossible” by sorting out one too many convoluted plot developments. Director Masaaki Yuasa transforms Tomihiko Morimi’s 2006 novel and in the process, colorfully tackles themes of college-age angst, drunken honesty, unrequited infatuation and fate versus coincidence in a tale consisting of a single glorious whirlwind of a night… creating one of the most unique and memorable animated works of the new millennium. Alden Ehrenreich becomes Harrison Ford’s iconic pilot-smuggler (minus ten years from the 1977 Star Wars’ time setting) in this competent, yet largely inconsequential, second Star Wars Anthology film (2016’s Rogue One being the first). Bradford Young’s crisp camerawork and John Powell’s musical refurbishment of John Williams’ iconic themes redeem the space adventure from a lacklustre and passionless narrative perhaps due to the film’s unfortunate production turmoil (i.e., Ron Howard replacing Phil Lord and Christopher Miller in the director’s chair). 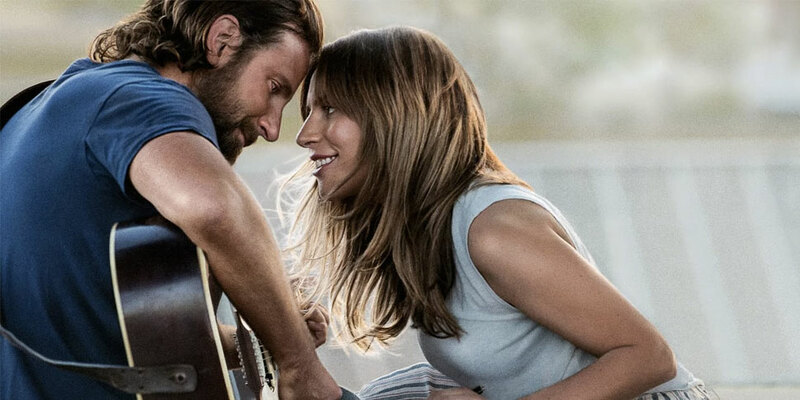 Bradley Cooper teams up with pop star Lady Gaga to provide a worthy update on the classic Hollywood tale. The star duo’s raw and vulnerable chemistry in both their musical and quiet moments is particularly commendable especially considering Cooper’s multiple duties as director (a first-time effort), writer, producer and co-star. As many regular readers know, I very rarely see contemporary films. The reasons for this are two-fold. First, it's a preference for a generally less conceptualized style of cinematic storytelling in today's environment dominated by sequels, re-makes, self-important subject matter and other perceived derivations.